All fats are not created equal. Unfortunately, there is an abundance of false information out there that may lead people to misunderstand about whether fat is good or bad, and how much you should really be eating. Today we’re breaking down all different types of fat, how good each one is really, where to find them, and how often you should be eating them. Curious to find out more? Keep on reading! “Good” fats are the type of fats that are recommended as part of a healthy and balanced diet. With that said, you should still take into consideration that fat is more calorie-dense than carbohydrates and protein. Fat contains about 9 calories per gram while carbohydrates and protein contain 4, thus making it easier to unintentionally over consume fat. 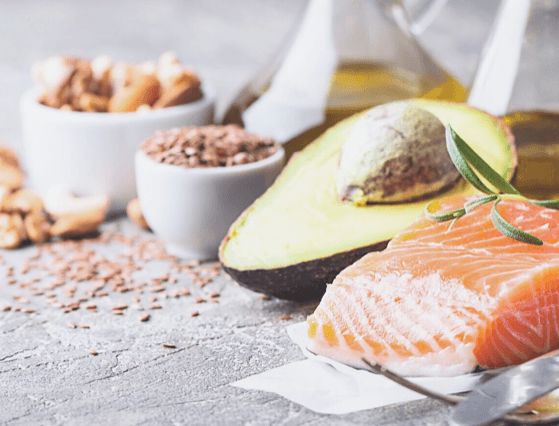 Monounsaturated Fats and Polyunsaturated fats are generally considered “good” fats due to their heart health benefits. Monounsaturated fats are known to help decrease the chances of cardiovascular disease. Monounsaturated fats are found in different foods and oils. Polyunsaturated fats, or essential fats, are necessary due to the fact that our body does not produce them but needs them. They are known to help lower cholesterol and triglyceride levels. These are typically found in plants and oils. Where there is good, there is usually bad as well! With that said, there are certain types of fat that should be avoided and only consumed rarely. Among these type of fats are saturated fat and trans fat. These type of fats are more damaging to your health than beneficial, and should not be consumed regularly as they can increase blood cholesterol and increase the risk of heart disease. While saturated fat is not as damaging to our health when compared to trans fat, it should still be consumed sparingly. Overall, fats are definitely an essential part of a healthy diet. It’s important to know which type of fat is good for your health though in order to enjoy its benefits. Additionally, keeping the amount of fat you consume at moderate levels should also help keep unwanted weight off. ← Are You Sleep Deprived?